Cattlemen and other livestock and hay producers are seeing an invasion of their pastures and hay fields by an army that is devouring their grass and chewing into profits. This invading force is made up of millions of armyworms, searching for lush, tender, green forage that they consume at an alarmingly fast rate. Two species of armyworms can be significant pests of forage and pasture production. The “true” armyworm is more of a spring pest of cool-season grasses and tall fescue. The fall armyworm is a summer/fall pest primarily of Bermuda grass, but it can also damage fall-seeded, newly established winter annuals, fescue, and orchard grass. Damage from true armyworm and fall armyworm can seem to appear overnight. 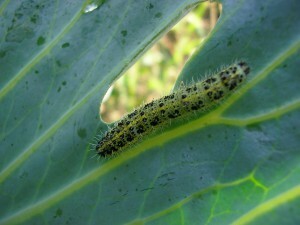 Although the damage might appear overnight, larvae have likely been feeding for a week or more before they or their damage appears. Large armyworms may move into an uninfested field (or area of field) adjacent to a field that was just defoliated. Because army worms are so destructive and compete with livestock for forage, producers should diligently scout susceptible fields for the true armyworm beginning in April and for the fall army worm beginning in July. At Smith Farm Supply, we’ve got solutions for armyworm control. There are several different pesticides that can be used to control armyworms in pastures and hayfields. Stop by one of our area Smith Farm Supply locations and together, we’ll come up with a plan to win the war on armyworms. Read more about managing armyworms here. This entry was posted on Saturday, July 21st, 2018 at 10:04 pm	and is filed under Cattle, News & Update. You can follow any responses to this entry through the RSS 2.0 feed. You can leave a response, or trackback from your own site.